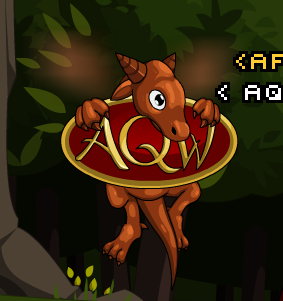 Description: This little super-fan can only be found by meeting an AQW Team Member in-game, but now he wants to travel with YOU! Battle On! Click on the 'AE Team Gift Cape' cape equipped by staff members in AQW in order to access the "AQW Dragon Cape" shop containing this item. Previously called "Wee L'il Fan".